How to Remove Facebook Friends in Mass: Facebook now has over a billion users with profile and individual profiles has at least over ten friends attached to it. But some Facebook accounts are jam-packed with over a million friends, people they may not even know in real life are actually friends with them on Facebook. 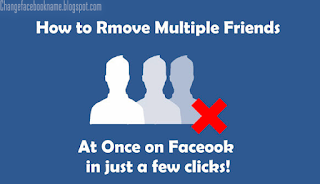 With thousands of friends, it may be a bit difficult to get some of your real friends on Facebook, you can reduce the number of friends you have by removing some of your friends. Follow the "Account" link at the upper right corner of your Facebook homepage, and then click "Edit Friends" from the drop-down options. Search for the friends you wish to remove by surfing down the list or using the search box. Finally, click the "X" icon which is in front of each name and then click "Remove Friend" to remove them from your friend’s list. 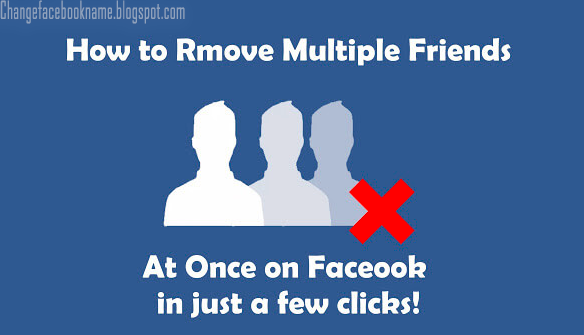 With this method you can remove as many friends as possible all within few minutes. I hope I have being able to teach you the methods that can be used to remove friend in mass on Facebook? Kindly share this with your real friends so they also can learn how it’s done.